I’ve encountered some guests who have the impression that the wildlife experience at El Nido Resorts will be similar to that of a zoo – caged animals that you can visit at your leisure. It’s actually the complete opposite. You only get to see the animals at their leisure, whenever they decide to venture out. So, while I can’t promise you with 100% certainty that you’ll be able to see them, I can give you a guide on how to spot the most sought-after animals at each resort. Talakitok eagerly waiting for their breakfast in Miniloc. Photo by Chris Ng. It’s hard to miss these massive hunks of muscle lurking by the Miniloc pier. They come back every morning for protection from fishermen in our house reef. Swimming with them during is feeding time is thrilling, while still very safe. Locally known as talakitok, the jacks are aggressive carnivores that eat even their own kind, but won’t harm humans. Talakitok weigh up to 80 kilos and can grow as long as 170 centimeters. 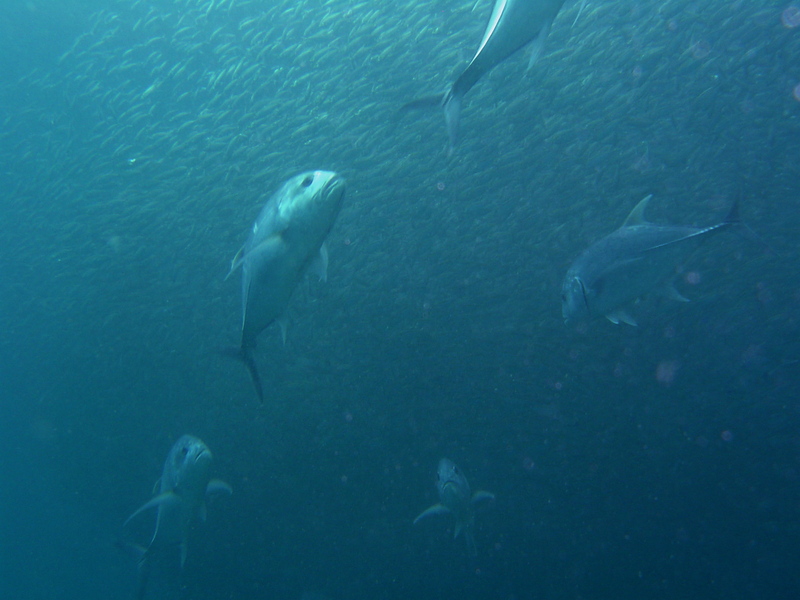 Unfortunately, their population is in decline as they’re prized game fish and are being overfished for their meat. A baby kalaw that we rescued is reunited with his family in a Lagen tree. Photo by Alex Dalabajan. With all the resident birds flying around the island, there’s never a dull moment in Lagen. The family of majestic Palawan hornbills are usually seen flying across the resort – their favorite fruit trees are just by the pool. You’ll also be able to hear the distinct calls of the kalaw as they catch insects or preen their young. The kalaw or talusi is endemic to Palawan and is also classified by IUCN as a vulnerable species due to extensive habitat loss. 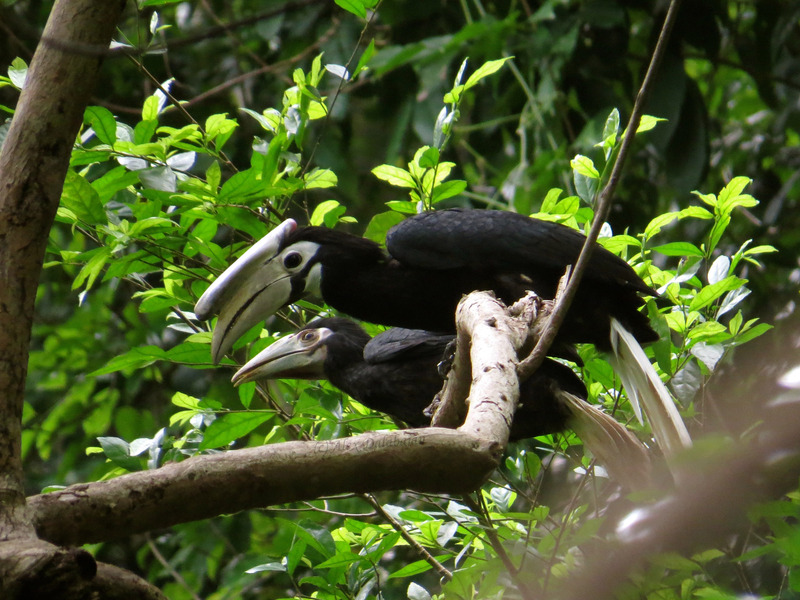 We recently helped out Baylo, a baby hornbill who fell out of his nest. The pilandok requires a bit more effort to spot. They’re nocturnal creatures, so you’ll have to keep an eye out for them either at night or early in the morning. Along the pathway from the Serena Pier to the main clubhouse, there’s a lot of trees where the pilandok can be found searching for food. The pilandok has a mutual relationship with pythons. When the pilandok is hunted by a predator, it hides in a burrow and the python will attack the predator that comes by. It’s endemic to Palawan, as well as an IUCN classified endangered species. 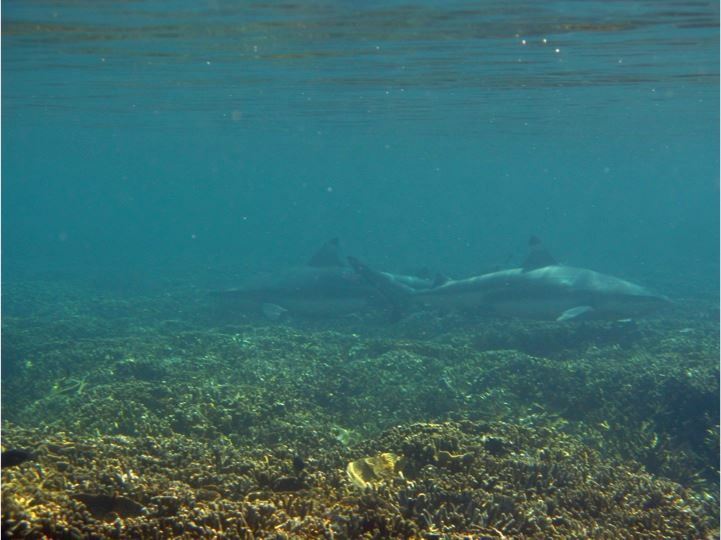 Blacktip reef shark at Pangulasian. Photo by Jenica Dizon. Guests will be familiar with the Snorkeling with the Sharks activity offered every morning at Pangulasian. Blacktip reef sharks have a small home range and exhibit strong site fidelity, so they will come back to the same spot every day on the house reef. They’re named after the black pigmentation on the ends of their dorsal and caudal fins. While they’re carnivorous, we’ve never had a shark attack. Actually, the sharks are more scared of us than we are of them. People hunt them for their meat, oil, and fins, causing them to be Near Threatened. At El Nido Resorts, it’s our mission to protect these animals, among many others, by preserving their habitats with sustainable practices and protecting them from poachers and hunters. Gaby Coseteng is an intern for the environment department. She is a rising sophomore at Stanford University and is still undeclared. Gaby is passionate about nature conservation and climate change, and hopes to pursue a career in a related field. 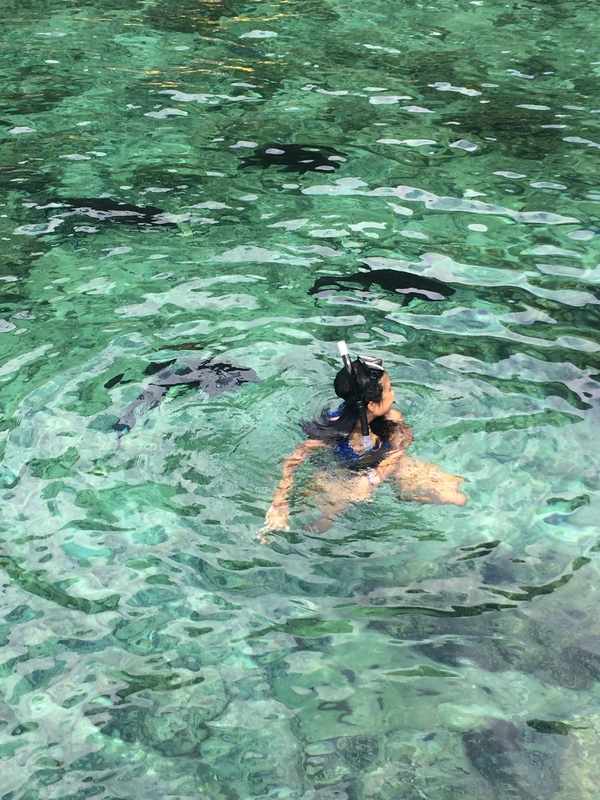 She enjoys kayaking, paddle-boarding, and snorkeling, especially since El Nido is so beautiful. Gaby is also a big fan of animals, but if she had to choose just one, her spirit animal would be a fur seal because they love to lay out in the sun and eat lots of fish. She’s really happy to be back home in the Philippines for the summer and to have the opportunity to learn more about the local environmental situation. Next FAQs: What’s a Green Night?